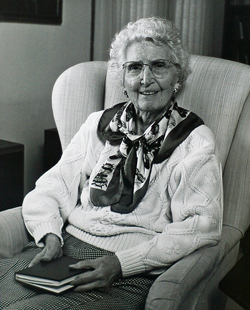 Even today, Frances Stillman Hodges is well-known among island residents for the many philantrophic causes she and her husband embraced during their lifetime. The Helpline House and the Bainbridge Public Library are just two of several organizations who benefited from their generosity. 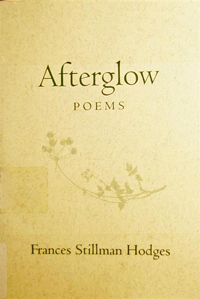 Having studied under Theodore Roethke at the University of Washington, Frances Hodges is also the author of three books of poetry - A Handful of Quietness (1969), Late Edition (1991), and Afterglow (1996). Hodges' niece, Peggy Stockley, says that the island's beauty and pace inspired her aunt to write songs and poems. "My aunt and uncle both agreed on their philanthropy. But she was a different person than my uncle. She was poetic. 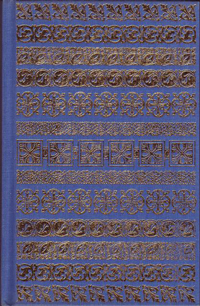 She wrote music and little songs, and was very much into nature . . . and she stayed at her home in Port Madison, which she loved, until the last."